Maggie McCormick loves her job as a sky-diving instructor. After living on the wild side, she's turned a corner and makes some changes. She has a dream to open a home for young mothers. Pastor Joe O'Reilly is impressed by her vision but has no intention of selling her the land that's been in his family for many years. He sees the changes in her life and is attracted, but will the terrible secrets she hides be a deal breaker? 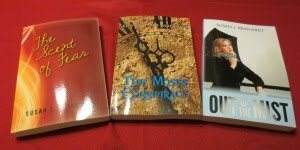 I've read a couple of Jessica's books and was impressed by the interesting plots. The characters had me cheering for a happy ending, and kept me thoroughly engaged. If you're stocking up for beach reads, this is a good pick. 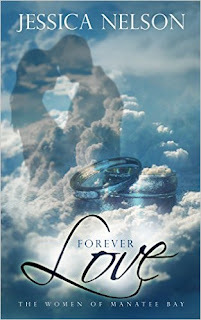 I'm giving Forever Love 4 Stars and looking forward to more books from this author. Disclaimer: Neither the author nor the publisher requested a review. I did not receive any payment for it, and all opinions are mine. Writers: Jessica's character is a sky-diving instructor. Have you chosen any unusual occupations for your characters? Please share. Readers: What types of books do you select for your summer reading enjoyment? Beach reads :) I love that Susan, thanks for the tip!